I am super happy to announce that I am now represented by Basic Space Gallery, located at 327 NW 9th Avenue, Portland, OR, 97209. As the featured artist for the month of April I am presenting new work from my latest Shimmer Series oil paintings. I'll be there at the opening reception on April 5th from 5.30 - 8.30 pm, stop by on your first Thursday art walk in the Pearl District. The show will be on display all of April and I'll be doing an artist talk later in the month, date to be announced. It will give you an insight into some of my background, my painting process and where my artistic inspiration comes from. If you want a sneak preview of my latest Shimmer Series oils you can view them on Artsy in the link below, and available for purchase through Basic Space Gallery. 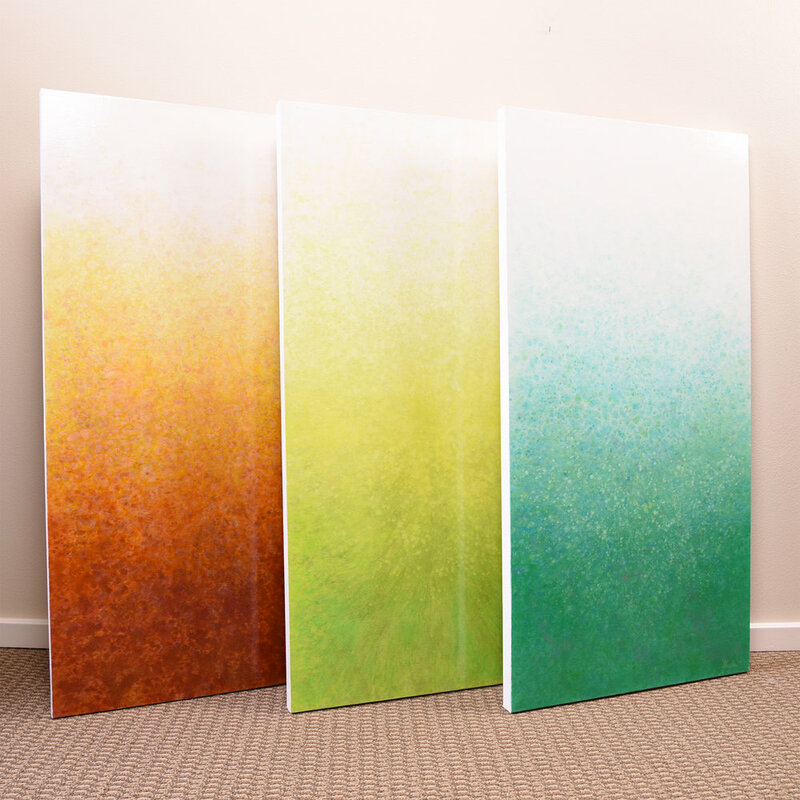 The Shimmer Series are colorful, atmospheric oil paintings which explore themes of optimism, strength and growth in a modern minimalist style. These concepts are expressed through the incorporation of both metallic pigments and a fresh, soft color palette. The metal anchors the piece, acting as a connection to the earth while the light, bright colors radiate up to the sky, taking the mind to that place where inspiration is born. These pieces are a shimmering oasis, a respite from the frenetic distractions of the world. Visit my Facebook page in the link below for the event invitation.